Killing Animals for Votes and Profits? A couple of weeks ago, my colleagues and I, representing various animal protection and environmental organizations, attended a somewhat surreal teleconference call with two officials from the Ontario Ministry of Natural Resources and Forestry (MNRF). 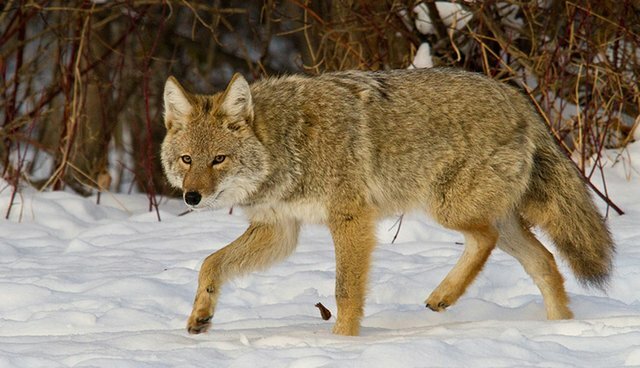 It was in response to an MNRF proposal that will see changes in hunting rules and regulations. The wolf and coyote season will be open from September 15 until March 31, and hunters will no longer have to purchase expensive ($272.41) game seals to hunt wolves and coyotes in northern Ontario. And, while the number of wolves that can be killed will be two, there will be no limit for coyotes. The hunting of bears in the spring-a practice that leads to the orphaning of cubs-is to be expanded from eight Wildlife Management Units (WMUs) to 88 WMUs (in addition to the fall hunt for bears, and will be opened to non-Ontario residents; the fall hunt is already open to non-residents) and baiting of bears will continue. All of this is being done as part of an effort that the Minister, Bill Mauro, claims is to increase moose populations. There has been a decline in moose numbers in parts (not all) of Ontario and other regions in adjoining provinces and states. Scientists agree that the decline was not caused by wolves or bears, although both can kill moose (especially young, sick, or geriatric animals) and, in the case of wolves, could conceivably temporarily decrease moose to a noticeable degree on the local level. Coyotes are simply too small to kill moose, other than an unprotected calf; they are consumers of mice, not moose. And, during the meeting, all of this was agreed upon by the scientists. But, as we have learned about Mr. Mauro, facts don't always matter. He has to know what the rest of us know, and what the scientists who work in his own ministry know: that the causes of moose decline are multi-faceted. They result from various human activities and are not entirely understood, but have little to nothing to do with wolves or bears, and nothing at all to do with coyotes. As Ann Bell of Ontario Nature put it, "Apex predators, keystone species, strongly interactive species-these are all metaphors used by scientists to convey a sense of the profoundly important role that wolves and coyotes play in maintaining the function, composition, and diversity of natural systems. Removing these animals, even locally, can lead to a cascade of problems including the rapid expansion of other species (e.g., deer), increased disease transmission (e.g., from deer to moose), and significant changes in vegetation (e.g., decline of plant species favoured by moose and deer)." She knows that the government realizes "that letting more hunters randomly and opportunistically shoot more wolves and coyotes is highly unlikely to benefit moose." In fact, it says so in the government's own background document, and this was admitted by the biologists we talked to. So, why do it? Northern Ontario will benefit from the cash paid to outfitters and others by hunters, especially those from out-of-province. Therefore, the move is likely to be popular in regions of central and northern Ontario where such cash flow is most likely to occur. Moose won't increase. A moratorium on legal hunting would help, although it would not prevent either the treaty-sanctioned take by aboriginal hunters, or poaching: a practice that takes money to end. And, of course, limiting forestry, road building, or stresses on moose from recreational activities are all politically toxic solutions to the problem. Neither the Ontario Federation of Anglers and Hunters nor Bill Mauro is going to say they want to kill predatory animals or leave cubs to die for lack of parental care in the interest of fun and profit (or, in the case of Mauro, votes). Canada has turned its back on 'profitable' forms of animal abuse such as dogfighting and bullfighting. Enhancing moose populations is certainly a popular goal, and the hope is that people are too unaware of what science shows to know that what is proposed won't actually help the moose. These are overly simplistic answers to complex questions. The political cost to stopping what is really responsible for moose declines (including hunting, poaching, certain forestry practices, and habitat encroachment) is unthinkable to the government. So, the predators are scapegoated, even though we all know that they are not responsible for the overall decline in moose. The ministry's plan has nothing to do with moose and everything to do with money and votes. As Mark Ryckman of the Ontario Federation of Anglers and Hunters said, "Back in 1996, the spring bear hunt alone generated $40 million a year, disproportionately benefitting northern and rural communities." During our meeting, one biologist opined that, in a lifetime spent in the bush, she had seen so few wolves that there was no real concern; hunters wouldn't see and shoot enough to negatively affect their population. So, why claim otherwise? Why suggest that moose will "benefit?" It's all smoke and mirrors: truly surreal. The animal protection and conservation groups are right, but it seems not to matter.